Following a fatal underwater accident involving a fire fighter from the Genoa Headquarters, Luigi Ferraro was called to act as court appointed expert in 1947. This unfortunate circumstance is at the source of Ferraro's idea to train fire fighters to work underwater. He discussed his thoughts with Eng. Michele Elia, fire fighter Crew Commander for Genoa, who welcomed the idea with enthusiasm. The Commander believed this would contribute highly to the crew and put him in contact with the Directorate General of Fire Services of the Interior Ministry. Ferraro was summoned to Rome, where meetings, talks and demonstrations took place ending with the proposal of presenting a feasibility project to the Directorate General. This represented a completely new approach at the time. There is no treatise to follow, not even a small manual. There is only the practical experience of the first divers, most of whom are self-taught. Ferraro has the benefit of having received specific training by the Italian Navy, of having already experienced the first diving courses for beginners and of being a professional teacher. He therefore agrees to undertake the task. He studies, thinks about and explores his past as a commando and finds a connection between the theoretical, technical, psychological and practical requirements of the two specialities which, on a surface level, appear very different: Fire fighter and Scuba Diver. 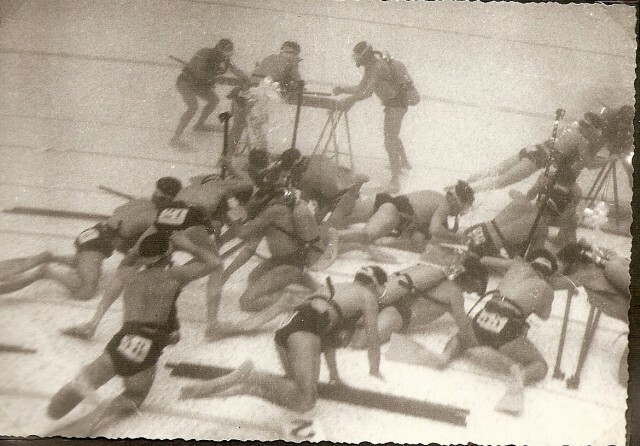 Training fire fighters to dive had already been tried in 1942 at the Academy of Livorno, but this was just an isolated episode that had no followup. 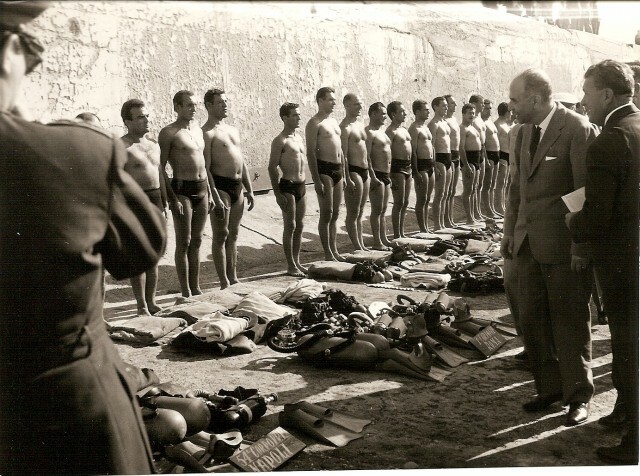 In June 1952, Luigi Ferraro started leading the 1st Scuba Diving Course for fire fighters. After 60 days, 32 fire fighters were certified and go back to their local Fire Brigade to start their special activity. The Italian National Fire fighters Corp was the first non-military organization, on an international scale, that employed scuba divers for civil purposes, at the service of the State. This Course was followed by many others as the speciality immediately proved to be useful, performing a good 126 interventions during the first two years following its introduction. After many years, the Educational Management of the Course passed to Duilio Marcante, but Ferraro continued being the Technical Diving Consultant of the Directorate General of Fire Services for 40 years, helping to improve every detail of an organization that is so important for the Country. Even today, the scuba diving training courses for fire fighters are based on the grounds laid down by Ferraro and Marcante, despite the introduction of required technical adjustments and although they take place in different centres in order to expand operational activities. In order to understand the relations between Ferraro and the Fire Fighter Scuba Divers further, reported below is the introduction that Eng. Chimenti, who was in charge of this sector nationwide, wrote in the preface of the book "Dominare gli istinti" by G.Cafiero Ed.Ireco. "...Writing this book is too good an opportunity not to describe a trait of Luigi Ferraro that is only known by those who were able to appreciate his virtues in a working environment. I refer to his steady and qualified contribution, in terms of experience and humanity, during diving interventions that were particularly complex. A typical example of this is given by the intervention that took place in the cave of Reggio Calabria in 1978. On this occasion, the sixty-four year old Professor decided to dive to the entrance of the cave, which was 64 m deep, to see with his own eyes the issues involved in the recovery of Alfonso Parisi's body, the fire fighter scuba diver who died during a rescue intervention. The whole team of fire fighter scuba divers, summoned from various Italian stations, which I lead in close collaboration with Eng. Lo Basso, then understood how important the Fire fighter Divers were to the Professor."